Your hearing returns to you before your vision. There is someone close to you. You open your eyes and your vision slowly starts to return. You are laying down on a bed in a large bedroom. Sitting at the end of the bed is a maester fixing up your wound on your ankle. The next sense that returns to you is feeling and that&apos;s when it hits you hard. Your ankle felt like it was burning and you quickly jerked your leg away. The maester reassured you that he was almost done. Laying back down, you tried to ignore the pain and get a sense of things. How would you get back home? Where are you? Where is Ramsay and what does he even want with you? After the maester leaves,  you walk towards the door being careful not to put too much weight on your ankle. You try to open the door but its locked. "Ugh of course it is" you mumble to yourself. You lean your head on the door and let out a long sigh. "Think (Y/N), think! I need to find a way out". Your thoughts are interrupted by the sound of people walking around outside the door. You press your ear against the door and listen closely. "Did you see Lord Snow&apos;s new pet? He&apos;s got her locked up in there. I&apos;m sure he has big plans for this one". That is enough to make you panic and frantically start looking for a way out. You run to the window in hopes of finding another way out but its small and there is no way you can squeeze through. It&apos;s to high up anyways. Frustration, anger, and fear all take over as you crash to the floor and begin to cry. Hours have passed by and you are still curled up on the floor. As time passes you continue to stare at the wall in front of you, all hope lost. The door handle starts to move and your heart nearly jumps out of your chest. It&apos;s him. 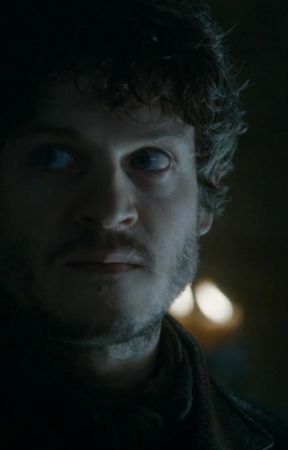 Ramsay enters the room without even looking at you. He closes the door making sure to lock it behind him and walks over to the other side of the room. He begins to whistle and remove his cloak while looking around the room. His eyes stop at you and his whistling stops. "Oh I forgot you were even in here!" he lets out a laugh. You glare at him and look away hugging your knees to your chest. "No, didn&apos;t find that one funny huh?" he says as he pulls out a chair and takes a seat. Enough was enough. You could not sit in silence no more. Picking yourself off the ground you begin to speak. "I am leaving. You need to let me out right now". Ramsay stares at you with such intensity that you quickly feel intimidated and look down. If he wasn&apos;t so crazy, it would be safe to admit that he had such nice blue eyes. The fact was that he is crazy and you find yourself hoping that you didn&apos;t anger him too much. Ramsay is quick to reply. " You better get an attitude adjustment or your time spent here will not end well". Anger rushes over you but you quickly get a hold of yourself. "Can i at least ask why you have me trapped in here? What good am i to you?" 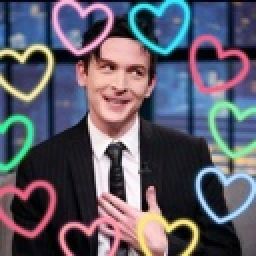 Ramsay&apos;s smirks and replies in a quiet tone. "Because I need a wife, and I have decided that you will be her. You and I are going to have a lot of fun together". And with that Ramsay stands up, flashes you a smirk, and leaves locking the door behind him.